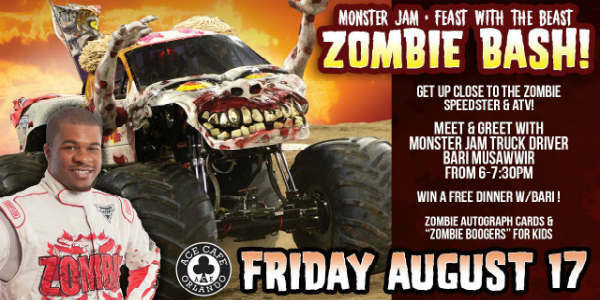 Meet famed Monster Jam Zombie driver Bari Musawwir and get up close to his customized vehicles during a free event at Ace Cafe Orlando, in partnership with iHeart Radio, on August 17, 2018. 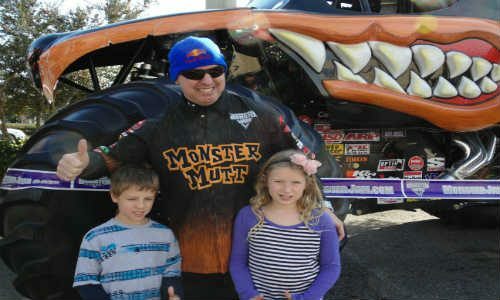 Ocoee resident Musawwir, is the first local driver to ever appear in a Monster Jam. He is also the sport’s first African American driver, and won Rookie of the Year in 2012. 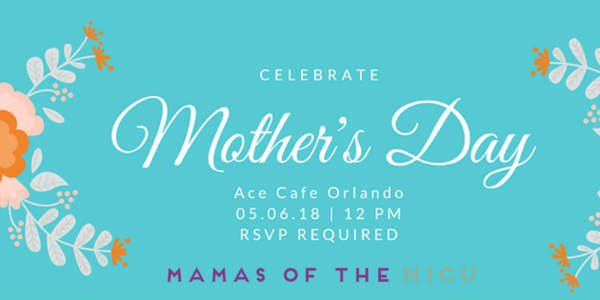 For Mother’s Day, Mamas of The NICU is hosting a special brunch event for 15 NICU moms from Orlando area hospitals at Ace Cafe Orlando on May 6. At the event the moms will get the chance to meet fellow NICU moms, indulge in a delicious brunch, and receive survival kits that are filled with essential baby goods, snacks, and toiletries that will be used on a daily basis. Ace Cafe Orlando kicks off 2018 with a weekend pit stop by “The Drive Home III: Driving The Future” vintage vehicle road tour the weekend of January 4-5. On display will be seven striking vintage vehicles in the TDH III caravan, including a ’72 Chevy El Camino, ’69 Chevy Camaro, ’62 International Travelette, ’59 Plymouth Fury, ’59 Cadillac Coupe DeVille, ’55 Chrysler C-300 as well as a special edition Triumph Thruxton motorcycle on loan from Ace Cafe Orlando and a 2018 GMC Terrain Support Vehicle provided by GM. 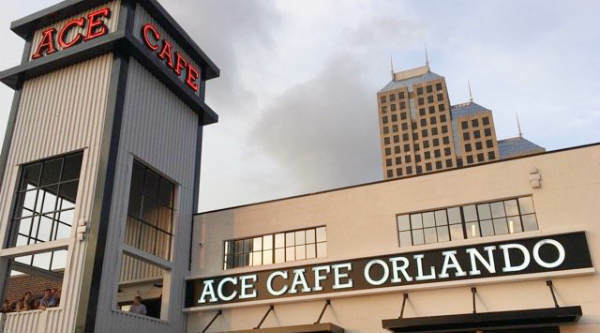 The popular Ace Cafe is expanding their brand and has chosen Orlando as the first North American location. We got a hard hat tour of the work-in-progress renovations of the downtown location last week, and it was impressive. 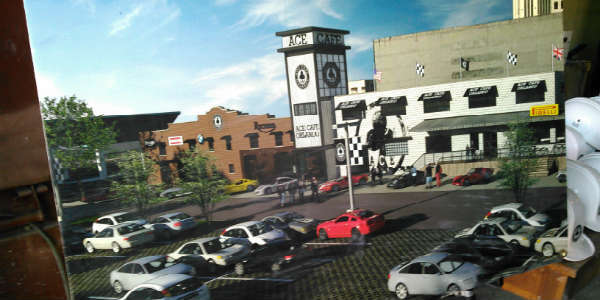 Ace Cafe Orlando is located on a three-acre block at the corner of W. Livingston St. and Garland Ave. (across from the Lynx station). 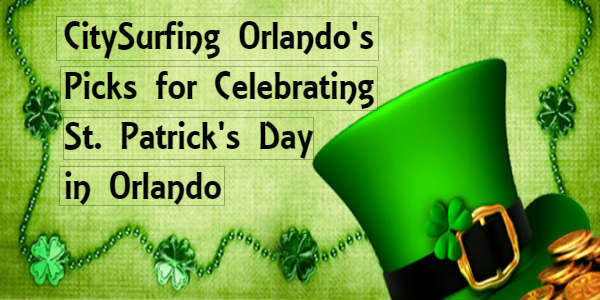 It was originally the Harry P. Leu Building, and in the years since, has been home to The Edge and 8 Seconds night clubs, among others.